Ask any billionaire what the classiest boat maker in the world is, and chances are that in between puffs of his Cuban cigar, he'll say: "Riva, old sport!" But the classiest of the classiest? The cream of the crop? It's this 1958 Riva Tritone up for sale from RM Auctions. Why so classy you ask? 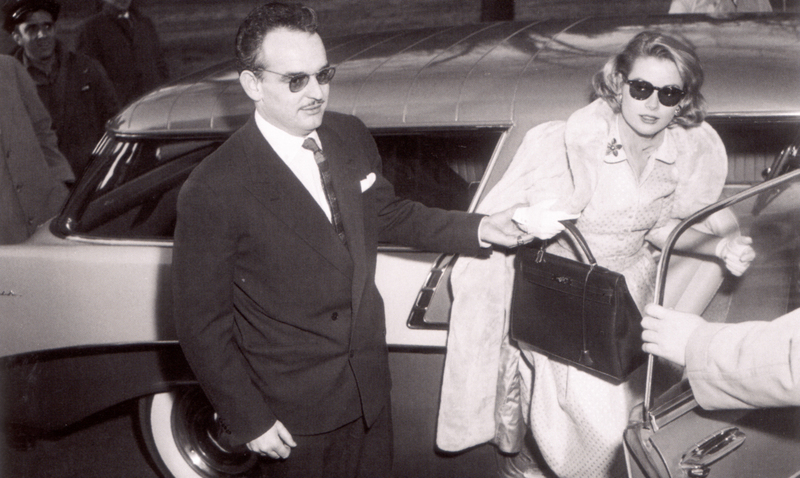 Because it belonged to the classiest couple of all time: Prince Rainier of Monaco and Grace Kelly of Mega-babe Island. Not enough for you? Here's five more reasons as to why this is the classiest boat of all time. The dashboard of your car has a walnut inset? That's cute. Riva's woodworking has always been among the very finest in the world, and the entire boat's covered in expertly laid mahogany. Schwing! The pinnacle of functional style in 1958, the gauges have stood the test of time. You may not know what "Folle" and "Indietro" mean, but the only word that counts here is "Avanti." 3. It was the perfect getaway boat. It had two engines from fellow legendary boat builder Chris-Craft, for a total of 350 hp. Why all the power? How else are you supposed to escape the prying eyes of waterborne paparazzi? Try not getting laid when you tell your date that the color is a mixture of Lapus Lazuli and Tiffany Blue. It's impossible. 5. The people on the boat. The people that owned Rivas tended to make fellow-owners like celebrity A-listers Brigitte Bardot, Sophia Lauren, and Peter Sellers look like B-listers. Greek tycoon Aristotle Onassis and Jackie O owned one for decades, and of course this specific boat was ordered new by Prince Rainier and Grace Kelly. We can only assume that clothing was optional on the SS. Sexpot. It's safe to say that in Monaco, this boat was King. Or at least Prince. Aaron Miller is the Rides editor for Supercompressor. He's never owned a boat, unless you count a 1978 Buick LeSabre, and you can follow his landlocked life on Twitter.